There was more than one interesting Erdem outfit happening last week. The Countess of Wessex attended a dinner for the Prince Albert II of Monaco Foundation at Sotheby's. Prince Albert was also present, as was Prince Alwaleed bin Talal. A skirt with a little more fullness and a little more length seems to be a look the Countess is gravitating towards these days. It can be a lot of look, especially when you thrown in a top with embroidery under a jacket with more embroidery. But that's Erdem for you, and I kinda love her for embracing it. 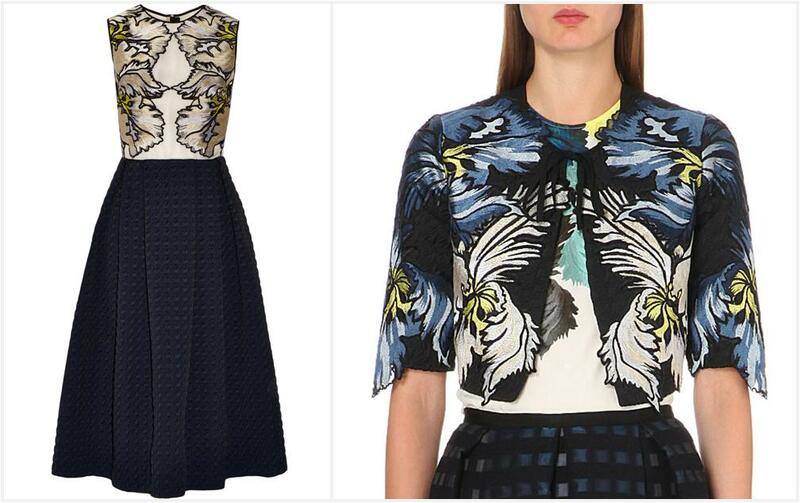 Erdem dress (Net-a-porter) and Erdem cropped jacket (Selfridge's). IDs per the Countess of Wessex blog.